Genre-bending is a dicey proposition, as it can either lead to a great film or an utter disaster. When it works, like with Scott Pilgrim vs. The World, it can create a worthwhile experience that affects audiences in many ways. When it doesn’t work, it can make a disastrous concoction of tones that never come together. Trying to perfect that mixture is the latest indie Colossal, which has become one of this year’s most talked about flicks. The film follows Gloria, an out-of-work party girl who goes back home after breaking up with her boyfriend. Once home, she discovers she has a connection to a giant creature that is causing destruction in Seoul. 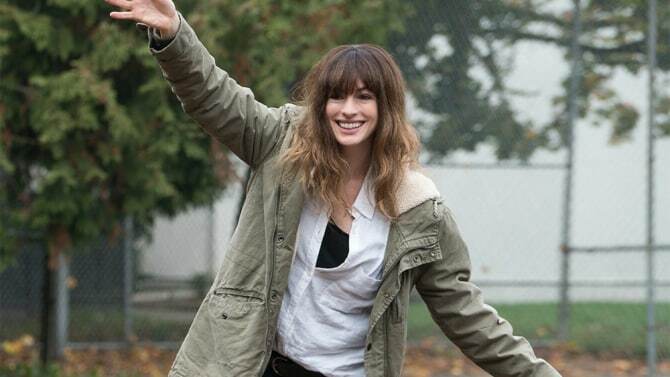 Colossal is admirably ambitious in plot and themes, and while its execution can be a bit messy, its an undeniably rewarding experience. Carrying the film on her shoulders is Anne Hathaway, who gives a career-best performance as Gloria. Hathaway brings the complicated character to life in a naturalistic way, while still featuring her signature charm. It’s refreshing to see Hathaway play a character with such complexities, as she unpacks the character’s baggage with honesty and sincerity. Surrounding Hathaway is a talented supporting cast. Jason Sudeikis is usually the charming slacker, but plays a fascinating variation of that character type. Sudeikis proves to have some dramatic chops, delivering a dark, but thankfully grounded performance. Tim Blake Nelson, Dan Stevens, and Austin Stowell are also good. Credit is due to writer and director Nacho Vigalondo for making a film unlike any other. Attempting to create a monster film in a more human scale, Vigalondo is able to pull off a lot on a relatively minuscule budget. The monsters themselves obviously aren’t groundbreaking, but there is a charm to their simplistic look. He also takes a lot of daring risks with his script, especially taking these characters in some interesting directions. Thankfully, most these risks work. The film is essentially one big metaphor for the demons of addiction and abuse and overcoming them, with that metaphor being both effective in the story and as a point of exploration the characters. There are some surprisingly emotional moments that are effective without being too broad. Vigalondo deserves a lot of credit for giving even the seemingly villainous characters some sense of humanity, as well as taking some interesting twists on genre tropes. With Vigalondo ambitiously pursuing a lot of ideas, some of the execution can feel a bit messy. The film does have some successful comedic moments, but as the tone of the film gets darker, the comedy begins to feel more jarring and troublesome. At 110 minutes long, the film is also a good ten minutes too long, with the middle act in particular having some dead spots. Story-wise, there are some details that leave room for improvement. The monster part of the story is mostly successful, but a lot of the background of why this is happening ends up being half-baked. Some of the key story nuances this film ended up not making much sense and left me feeling slightly unsatisfied. 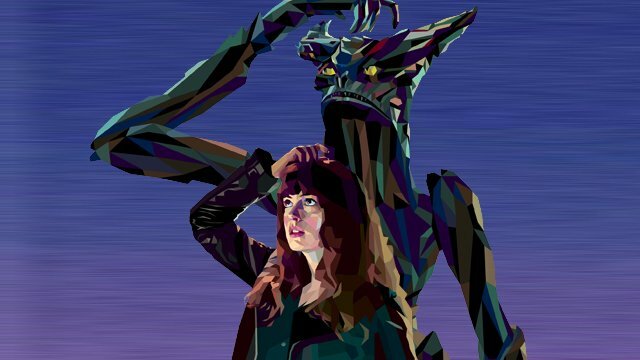 Colossal is a memorably odd film, successfully able to execute its audacious premise through fantastic performances and a thoughtful script. Let’s hope more filmmakers continue to take big risks like this in the future.